Good posture is as important as eating right or having a good exercise routine. When you have good posture your body will work the way it is supposed to, keeping your muscles balanced and working together will also help prevent injuries. Poor posture can be caused by many different activities, one of them being that a person has overcompensated from an injury or fall. As society continues to be in sedentary positions and behind a computer these problems are going to continue. 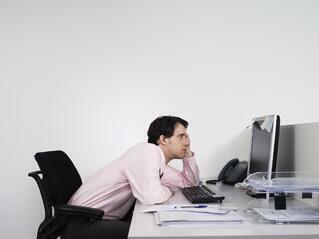 Excessive weight and careless standing, sitting or sleeping habits will also lead to poor posture. 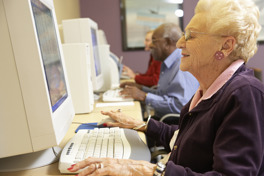 For seniors, decreases in physical activity as we age can be the primary culprit of poor posture. Sometimes these decreases in physical activity are a result of a diagnosis of a chronic health condition such as arthritis or neuromuscular conditions. The key is not to stop exercising when chronic health conditions arise, but to use exercise to help maintain posture and manage the symptoms of such conditions. When posture is out of alignment, it can increase an older adult’s susceptibility to falls. Individuals need to make sure that they are in a healthy weight zone for their body type. Participate in a balanced exercise program that includes cardio, strength, and flexibility training. Classes such as Pilates or yoga are great ways to focus on strengthening and improving flexibility in the core muscles which support posture. Be aware of what chairs you have in your work space, as well as your home. Use it or lose it - as we age, our muscles will get shorter and weaker if we are not using them. Poor posture can lead to head aches as well as back and neck pain. For more information on the importance of posture or activities you can do to help correct your posture please speak to fitness professionals or your doctor.